Will SpaceX Launch And Make Its Historic Barge-Landing Today? 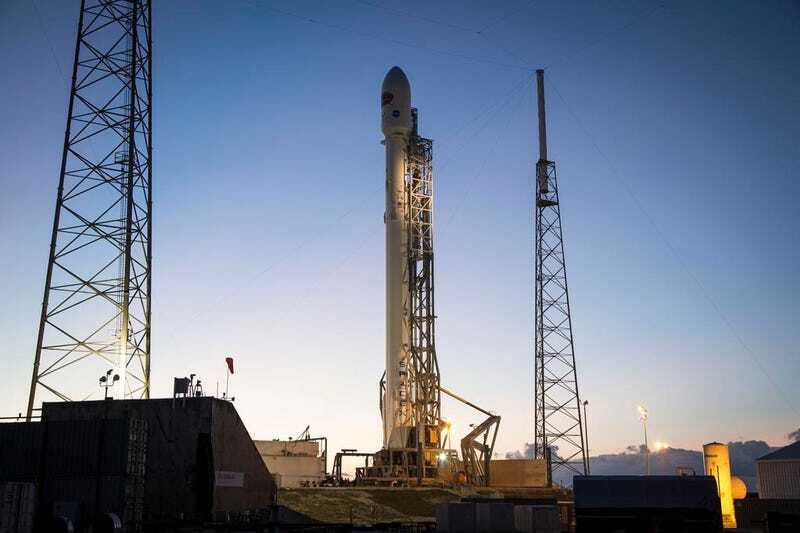 After tracking issues scrubbed the Sunday launch and bad weather blocked the Monday attempty, SpaceX is counting down to its first deep-space mission and second attempt at landing their Falcon 9 rocket on a barge. Watch it live here! Update: The Tuesday launch attempt is a NO-GO due to strong winds in the upper atmosphere. Weather balloons recorded up to 148% exceedance of the structural load limits for a safe launch. The next window is Wednesday 6:03pm EST. SpaceX Is About To Attempt Another Barge-Landing – Watch It Live!